Review of how disk I/O operations pass through the I/O software/hardware stack and how this traversal can impact I/O performance, including I/O performance testing. The major components of the I/O stack are briefly discussed along with several basic examples of how I/O operations can move through the stack. 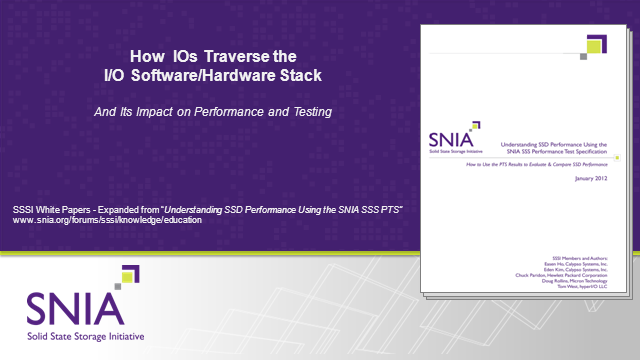 Applicability to the SNIA Solid State Storage Performance Test Specification (PTS) is also highlighted.